Nancy, the manager of Crumpler-Honeycutt is the daughter of the late Gene Barefoot and has been with the company since 1994. She is a graduate of Fayetteville Technical Community College with an Associates Degree in Funeral Service. 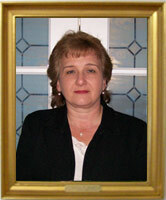 Nancy is a licensed funeral director and pre-need counselor. She is a member of Rowan Baptist Church, and the Rotary International. Kenneth, a native of Columbus County, came to Crumpler-Honeycutt in July 2003. He is a graduate of Fayetteville Technical Community College. 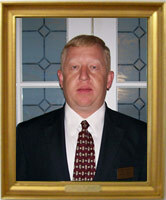 He is a licensed funeral director and pre-need counselor. He is a member of Hiram Masonic Lodge #98, The Scottish Rite, The Sudan Shrine Temple and is a board member of the City of Clinton Historic Preservation Commission.